Friends, family and many others are mourning the untimely death of a south suburban barbershop owner who was killed on Saturday evening around 7:30pm in South Holland, IL. Asa Cole, 25 was killed in a hit and run accident while riding his motorcycle. Cole who had been riding in South Holland when a person driving a Honda hit Cole on his black and grey Suzuki motorcycle near 170th & Dobson. It’s being reported that the driver of the Honda sped away from the scene after striking Cole. Investigators at the crash site reported the vehicle’s bumper with the front plate attached was found at the scene of the deadly accident. It will be only a matter of time to confirm who the driver was and where they reside. Fellow motorcyclists lined up in the street to pay their respects to their fallen biker brother. Cole was a member of the Tru Relentless Riders Motorcycle Club. Facebook exploded with the news of Asa’s death. Many of whom were clients of his barbershop Tonsorial Artist. Many others posted memories of Asa and how nice of a person he was. He would use his shop to serve the community we gathered he grew up in. This promising young man seems to have had his life going in the right direction and it’s such a devastating loss. 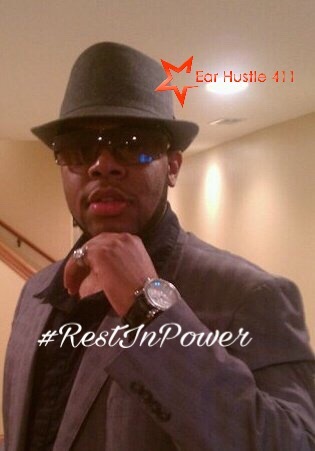 EarHustle411 and the writing staff sends our deepest condolences to the family, friends and clients of Asa Cole. We pray that God’s healing power heals the pains their hearts are feeling. We trust the police investigation will result in someone being held accountable for Asa Cole’s death. We will post updates about this hit and run as they are released.